Even with the strong ride in popularity of four-stroke engines in recent years, two-stroke engines still have a very important place in the snowmobile world. Easy to maintain and powerful, these small and light engines deliver a lot of smiles by each cm3. Snowmobiles have greatly evolved through the years and new technologies pushes the limits further with lighter components and mode powerful engines. BRP continues to innovate with their new Gen4 platforms and their new 850 e-tec engine. 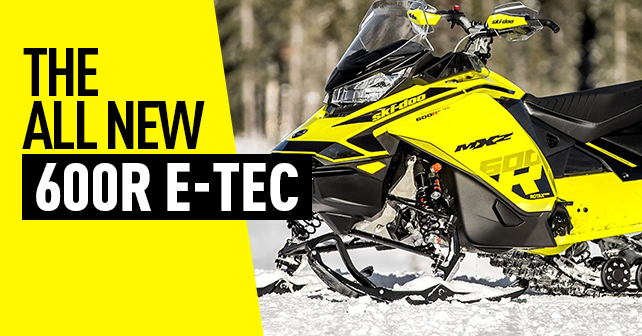 Ski-Doo is always looking to improve and offer high performance snowmobile but still keep in mind the reliability oriented snowmobiler and the 600R e-tec is the living proof. What should we expect from the new 600R e-tec? 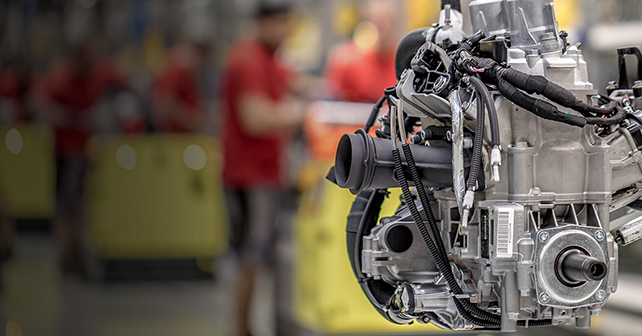 The new engine raises the standards for 600cc engines with a 30% quicker response and 125 horsepower. It’s still 5 HP more than its predecessor, the 600 H.O. e-tec who is often described as one of the best 600cc engine engines. Also according to Ski-Doo, the new engine would be even more efficient on gas and oil consummation with more than surprising performance. Based on the same type of technology as the 850 e-tec, the fast and prompt accelerations are at the rendezvous. The new engine is currently available only in the new MXZ 600R e-tec with the new REV Gen4 platform, a combination that will charm many, according to us. Learn more about the new MXZ here. Stay tune and discover power sports news and more on the Kimpex News blog.